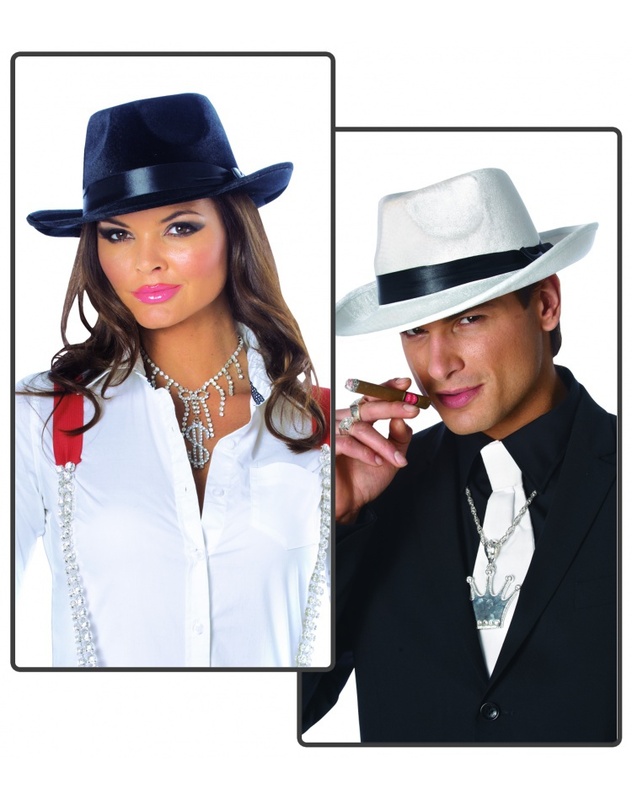 This mobster costume accessory includes an adult size velvet fedora with hat band. 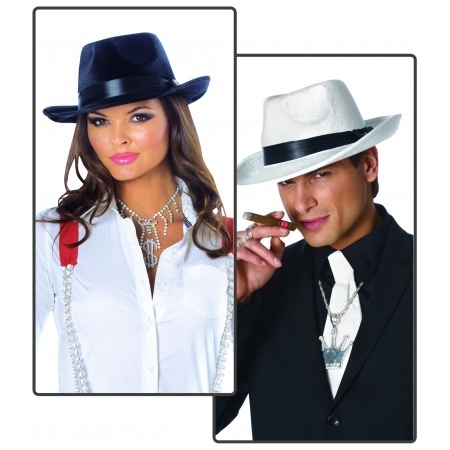 Choose this gangster hat in black or white. 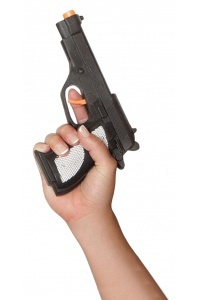 Comes in one size to fit most adults. 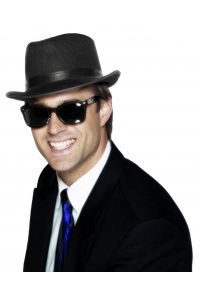 Wear this velvet fedora with a mob boss costume, Frank Sinatra costume or a Blues Brothers costume. 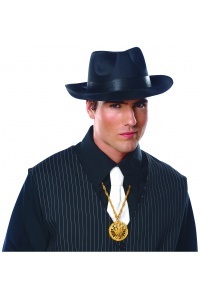 Gangster costume and gangster accessories are sold seperately. 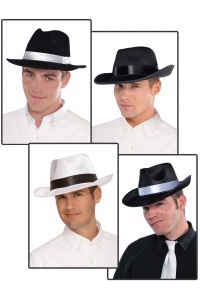 This fedora hat is an essential addition to any gangster or pimp costume.